Fiber Cable Assemblies.The manufacturers that we represent serve the computer, datacommunications and structured-wiring marketplace. The data centre is moving towards high speed and high density. How to build more optical fibre cables in limited space is becoming increasingly severe. In this case, FS.COM introduced a new-type product suitable for high density cabling requirement—polarity switchable LC uniboot cable. It’s the preferred option for high density data centre connection today. Its largest feature is switchable polarity, designed to eliminate the need for dual zip cords and reduce overall bulk cabling by 50%. But do you know about polarity switchable LC uniboot cable? What are the features of it and how to reverse the polarity? You may find answer in this post. LC uniboot fibre patch cables are designed for high density applications in data centre environment. Generally, the LC uniboot patch cord is designed with a polarization method that can help users easily reverse the fibre polarity. 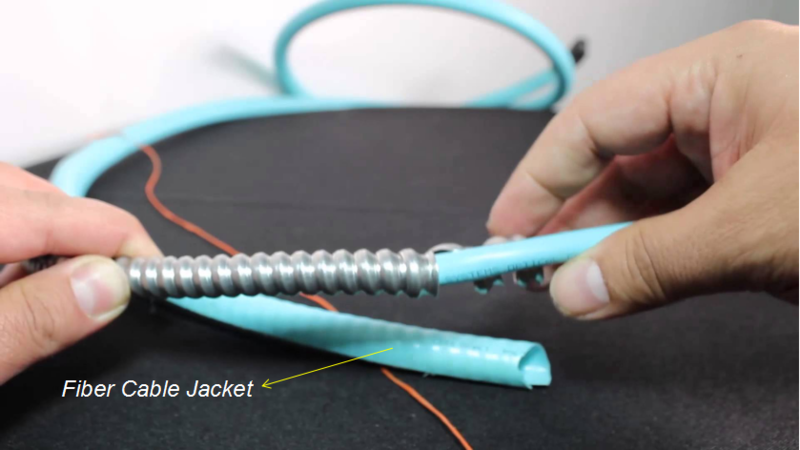 In addition, the LC uniboot fibre patch cable can reduce cable management space comparing to standard patch cord as it places both simplex fibres into one jacket while still terminating into a duplex LC connector. Similar to the standard patch cord, single-mode and multimode versions are available in LC uniboot patch cables. FS polarity switchable LC uniboot cables feature high density. They are used to connect switches or network devices in fibre networks directly or interconnect structured cabling systems in a fibre network. Besides, FS uniboot fibre patch cable has the following highlights. Easy polarity reversal: Polarity changes can be made in the field quickly, without the use of tools, to the correct fibre mapping polarity. “All in One” international quality cable assemblies: FS uniboot fibre patch cable has passed IEC61300-3-35 end-face standard, EIA/TIA-455-171A attenuation standard and CE, etc. providing customers with the outstanding, standards-compliant products and services. LC licence compliant & 0.2dB IL: The worldwide licence and low insertion loss keep your network running fast and smooth. 2.0mm round cable design: 2.0mm thin diametre allows the polarity to be switched from A-B to A-A without any tools. More fibre options: OM3, OM4, and OS2. Space saving: It can save the space of cassettes and cable management by 68%. As we know, for traditional cabling systems using single fibre connectors, maintaining polarity requires that the “A” transmits signal and at the same time the “B” receives signal. But duplex patch cords used to complete serial duplex pair connections available in two types, depending on which polarity technique is used— “A-to-B” patch cord for “straight-through” wiring and “A-to-A” patch cord for “crossover”wiring. Thus, polarity reversal is usually required during fibre optic cabling. However, polarity reversal of traditional LC patch cable is very inconvenient and annoying since some minor mistakes could lead to various troubles. Therefore, FS.COM developed the LC uniboot cable that is easier for polarity reversal, without having to re-terminate the connectors. Here two methods of polarity reversal are introduced as follows. 2. Switch the polarity from A-B to A-A. 2. Rotate connector 180 degree to exchange the position. To address the increasing demand for high density applications and smaller fibre cable, the LC uniboot fibre patch cable is designed to help cut down cabling space and provide more effective polarity reversal solution. I hope this article could help you choose the proper product for high density cabling. FS.COM not only provides polarity switchable LC fibre patch cable, but also provides bend insensitive fibre patch cable which is also a high density cabling application. Welcome to consult with customer service for more details. This entry was posted in Fiber Cable Assemblies and tagged fibre patch panel, LC connector, Optical fibre on July 27, 2017 by Admin. 10 Gigabit Ethernet is a telecommunication technology that can support the network speed up to 10 billion bits per second. It’s also known as 10GbE. As 10GbE greatly increases bandwidth, many companies start to upgrade the data centers to meet their growing needs. How to build a 10G data center? What kind of equipment will be used except the switch? This article will recommend you some basic 10G solutions. 10G SFP+ (small form-factor pluggable plus) modules are hot swappable transceivers that plug into SFP+ slots on switches and support 10G data center. With small form factor, SFP+ transceivers can ensure low power disruption and high port density. Since it’s hot pluggable, the transceiver modules can be added or removed without interrupting the whole network. 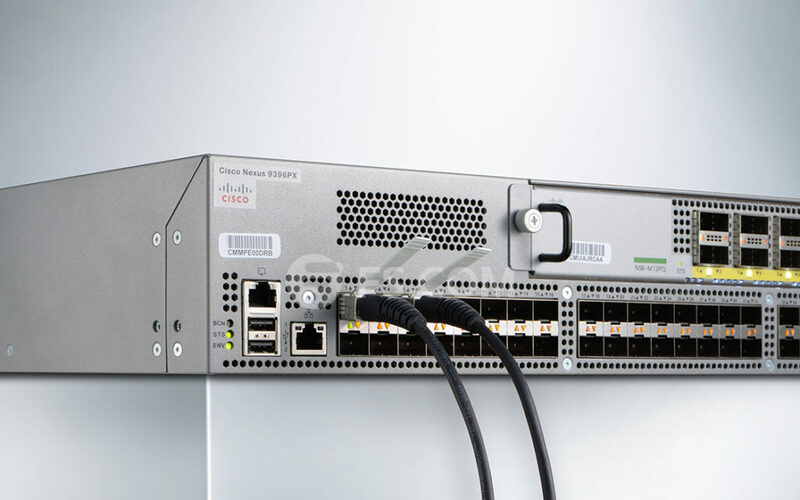 And SFP+ modules deliver data transmission speed of up to 10Gbit/s, which is 10 times faster than Gigabit Ethernet. Currently, a wide variety of SFP+ modules can be purchased in the market. For the long distance transmission, modules include SFP-10GBASE-LR, SFP-10GBASE-ER, SFP-10GBASE-ZR, CWDM SFP+ and DWDM SFP+. 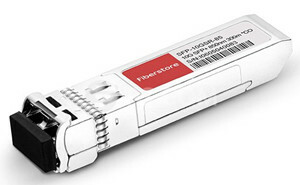 For the short distance transmission, there are modules like SFP 10GBASE-SR, SFP-10GBASE-LRM. Brands are also versatile such as Cisco, Juniper, Arista, Brocade, etc. To get modules with lower costs, you can pick third-party transceivers which are compatible with these original brands. Patch cables contain both fiber and copper types. Fiber patch cords, as one of the data transmission media, enjoy great popularity because they have large transmission capacity, strong anti-electromagnetic interference, high security and fast speed. LC fiber patch cord is one of the most common cables for 10G data center, covering single-mode and multimode categories respectively for data transmission over long distance and short distance. To increase panel density, flexible HD LC push-pull tab fiber patch cable is designed. With its unique design, this patch cable allows the connector to be disengaged easily from densely loaded panels without the need for special tools and give users easy accessibility in narrow areas for data center deployment applications. Another special LC patch cord is uniboot patch cord. 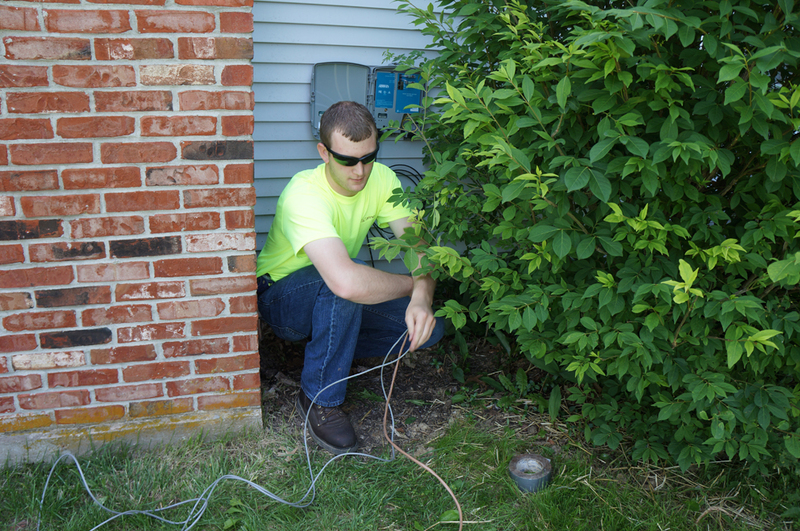 It utilizes a special “round duplex” cable that allows duplex transmission within a single cable. It’s good for saving cable management space comparing to standard patch cords. 10G SFP+ direct attach cable (DAC ) is a cost-effective solution for 10G data center. It’s a low-power alternative to optical SFP+ system. The 10G SFP+ cables provide low-cost and reliable 10G speed with either copper cables over distances up to 10 m or active optical cables reaching distances up to 100 m. Because there is no need for spending on fiber optic transceivers and cables. This kind of cables contain 10G SFP+ copper cables, both passive and active and active optical cable (AOC). Active copper cable and AOC are designed for long distance connection, while passive copper cable is for short distance, such as the interconnection of top-of-rack switches with application servers and storage devices in a rack. Fiber enclosure is an equipment you must have in data centers. This component is used to provide a flexible and modular system for managing fiber terminations, connections, and patching in high density data center application to maximize rack space utilization and minimize floor space. Fiber enclosure can be divided into different configurations like rack mount (available in 1U, 2U, 3U, 4U), wall mount, indoor or outdoor. The rack mount enclosure come into three flavors. One is the slide-out type and the other two are removable type and swing out type. Fiberstore introduces high density fiber enclosures with 48 ports, 96 ports and even 288 ports loaded LC FAPs (fiber adapter panels) in 1RU or 4RU rack mount for 10G solutions. Or if you already have the unloaded fiber enclosures, you just need to buy fiber adapter panels. To build a 10G data center, you have to prepare the components, for instance, 10G SFP+ modules, LC patch cables, 10G SFP+ cables, fiber enclosures, etc. You may also need other instruments for testing and cable organization. And all those equipment can be got from FS.COM with higher quality but fewer costs. For more information, you can contact us via sales@fs.com. This entry was posted in Cables Management, Fiber Cable Assemblies, Fiber Optic Network, Fiber Optic Transceivers and tagged 10G solution, data center, fiber enclosure, LC patch cable, SFP-10G-SR, SFP+ cable on October 26, 2016 by laura. Fibre Optic Polishing kits play an important role in fibre optic installation. They are specially used in fibre industry for polishing the end face of fibre optic product. Unlike electrical wires, optical fibres require end-surface treatment for proper light propagation. The two most common ways of surface preparations are cleaving and polishing. While fibre cleavage is very effective on fibres with small diameters such as 125 microns, polishing is essential for almost all glass-based fibres with cladding diameters larger than 200 microns. Furthermore, all fibre connectors require polishing. We will focus our discussion on glass-based fibre polishing in this tutorial since plastic optical fibres (POF) can be cut with special blades at elevated temperatures with satisfactory results. In Fiberstore fibre optic polishing catalogs, you will find our fibre optic polishing machines and other fibre polishing machine kits including fibre polishing fixture for all types of fibre connectors, fibre optic polishing puck and fibre optic polishing paper. Fiberstore Fibre optic polishing machine is specially designed for ferrule polishing. The optional accessories – the various connector polishing jigs – allow the fixing and polishing of the most commonly used connector types. This polishing machine owns the advanced features as slow start, adjustable speed and weight, along with changeable polishing jigs. There are square pressurized polisher and central pressurized polisher. All of Fiberstore’s precision connector polishing machines offerings are designed for superior performance by utilizing a rigid fixture system, which is significantly better than floating fixture type machines. Our optical fibre polishing machines are accurate and repeatability to consistently achieve superior production results when measuring apex offset, radius of curvature, fibre protrusion, back reflection and under-cut. Fiberstore optical fibre polishing fixtures, coupled with our optical fibre polishing machines, hold the close tolerances and repeatability required to achieve superior production results for apex offset, radius of curvature, fibre protrusion, back reflection and under-cut. Fiberstore fixtures in round, square models. Models are available in 10, 12, 18, 24 and 36 port configurations depending on connector style. All models are manufactured from hardened stainless steel with ferrule holes and centre bores controlled to the tightest tolerances in the industry guaranteed. Our Polishing Fixtures are used for polishing all industry standard fibre optic connectors. Available in one-piece connector or ferrule-only fixtures. Fiberstore hand polishing puck is used to polish SC,ST and FC type fibre optic connectors. Our hand polish puck is made by CNC machines for repeated quality and accuracy. The unique design prevents vapor locking and surface tension so your connectors are polished properly. Fibre optic polishing paper is using latest developments of international Ultra-precision coating technology, uniformly dispersed the abrasive powder micron and nanometer (diamond, white fused alumina, silicon carbide, silicon oxide, cerium oxide, iron oxide, etc.) and new polymer material on the high-strength film surface. The main purpose of fibre optic polishing paper: Optical fibre connectors, couplers, attenuators polishing; Ceramic ferrule, plastic inserts, glass tube hairs polishing; Optical devices, optical crystal polishing. Suitable for polishing with dry, water or oil. This entry was posted in Fiber Cable Assemblies and tagged Fibre Optic Hand Polishing Puck, Fibre optic polishing fixture, Fibre optic polishing paper on December 27, 2013 by Admin.